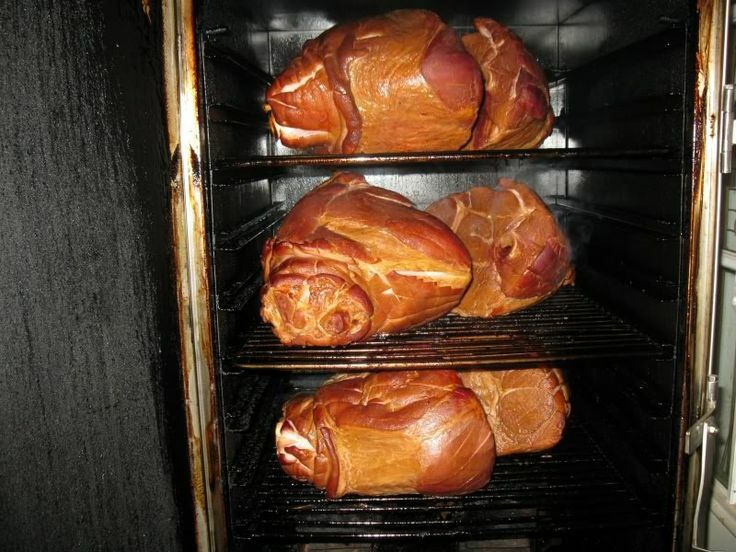 "1/2 shank hams (bone in) Smoked over Hickory @ 225F°. 3 hours in the smoke then onto a pan covered in foil to finish. I typically take them beyond 160F° but it is not necessary. -Use an exacto or new box blade to score the thick skin. -Rub with brown sugar and a little smoked paprika. -3 hours on the rack @ 220F°. -Drop in a foil pan and pour over apple pie filling and a little pineapple juice-cover in foil. -Two more hours @ 220F°. Posted on our SmokinTex Forums by member Deep South.